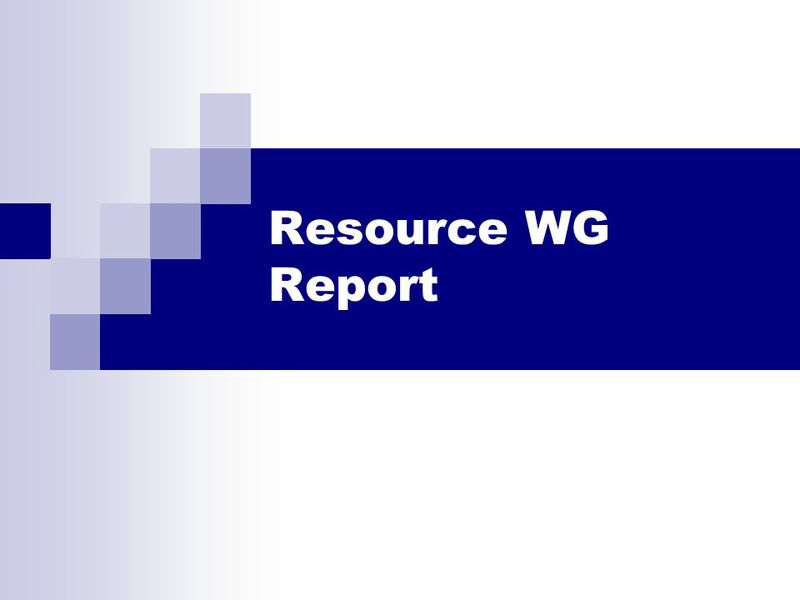 Download ppt "Resource WG Report. 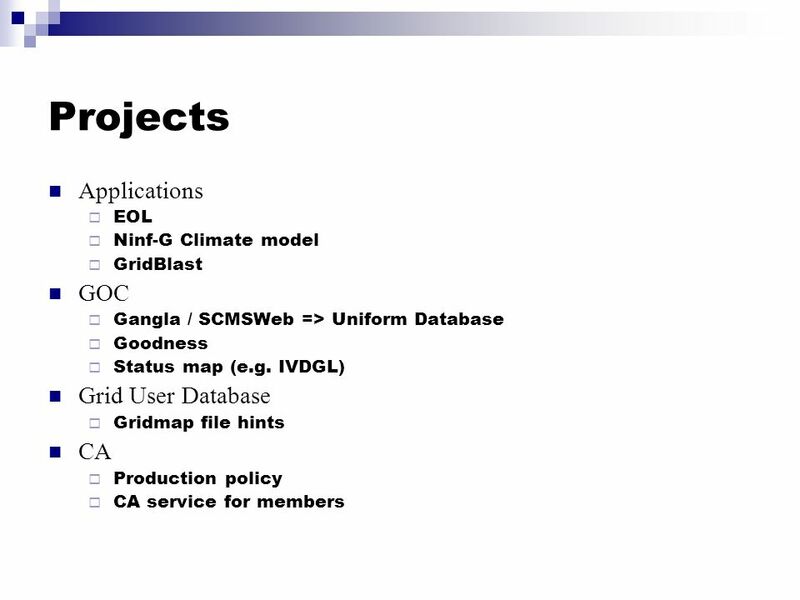 Projects Applications EOL Ninf-G Climate model GridBlast GOC Gangla / SCMSWeb => Uniform Database Goodness Status map (e.g. IVDGL)"
Kento Aida, Tokyo Institute of Technology Grid Working Group Meeting Aug. 27 th, 2003 Tokyo Institute of Technology Kento Aida. Resource WG PRAGMA Mason Katz, Yoshio Tanaka, Cindy Zheng. 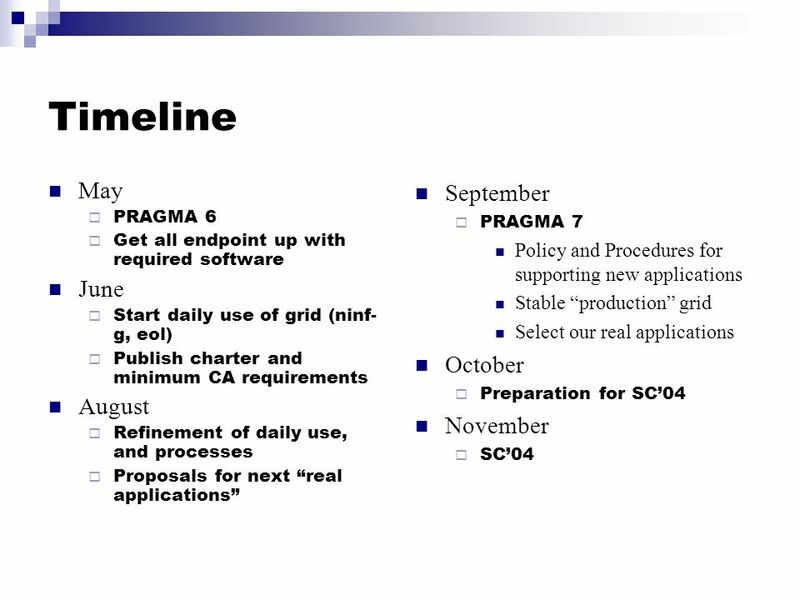 Cindy Zheng, PRAGMA 8, Singapore, 5/3-4/2005 Status of PRAGMA Grid Testbed & Routine-basis Experiments Cindy Zheng Pacific Rim Application and Grid Middleware. Cindy Zheng, Pragma Grid, 5/30/2006 The PRAGMA Testbed Building a Multi-Application International Grid Cindy Zheng P acific R im A pplication and G rid. 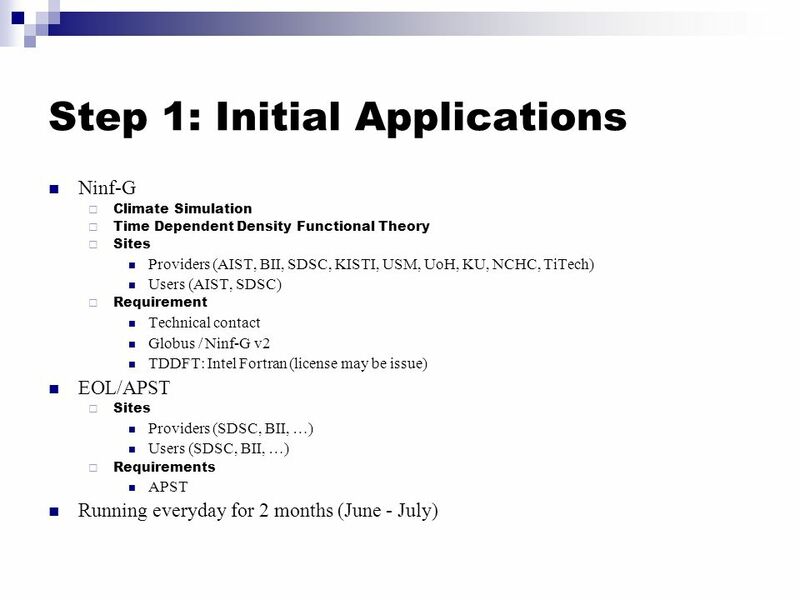 Resource/data WG Summary Yoshio Tanaka Mason Katz. 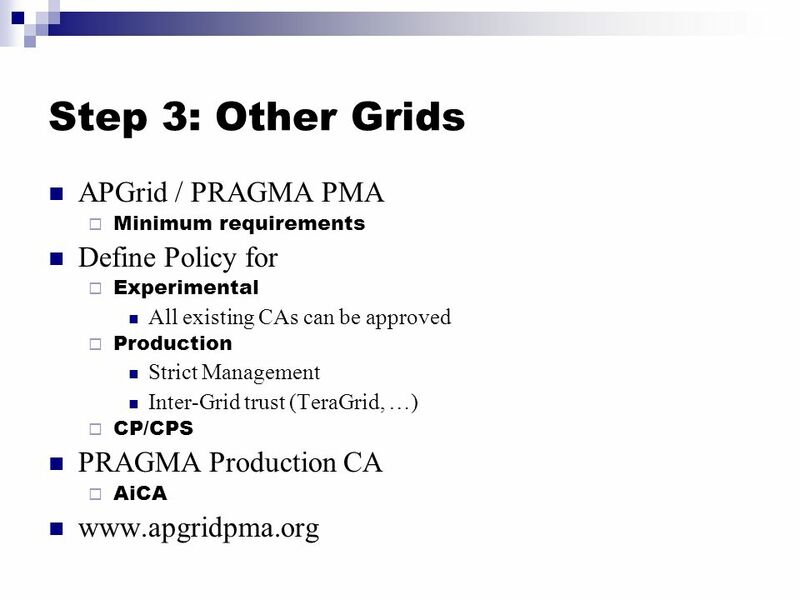 2 nd APGrid PMA F2F Meeting Osaka University Convention Center October 15 09: :20 # Participants: 26. Resource WG Summary Mason Katz, Yoshio Tanaka. 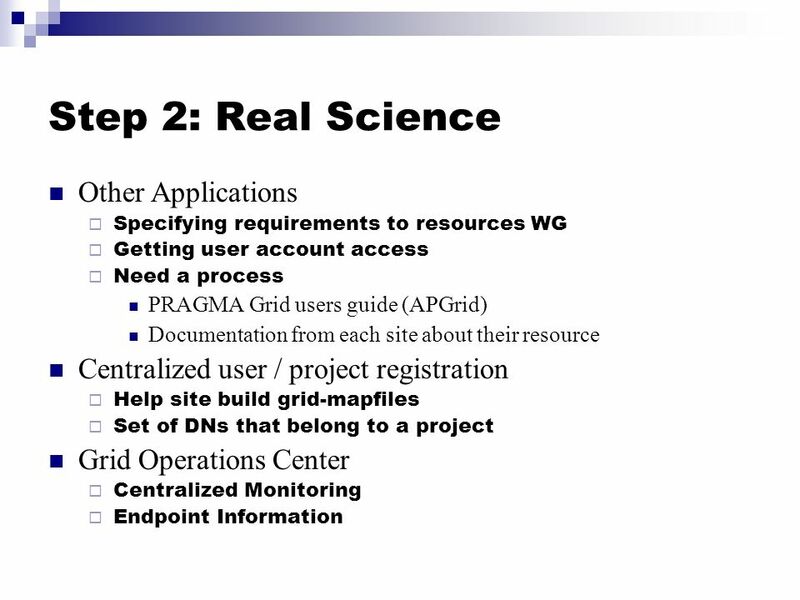 Next generation resources on PRAGMA Status – Next generation resource (VM-based) in PRAGMA by UCSD (proof.